The Nifty August 2007 futures settled at 4347, a discount of 23.20 points as compared to spot closing. The Nifty August 2007 futures discount has been consistently declining for the previous three straight trading sessions, till 13 August 2007, indicating short covering at lower levels. The Nifty August 2007 futures settled at 4355.60, an 18.05-point discount as compared to spot closing. On Friday, 10 August 2007, the discount was 30.35 points while on Thursday, 9 August 2007, the Nifty August 2007 futures settled at a sharp discount of 48.20 points as compared to spot closing. 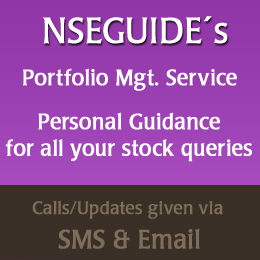 The NSE F&O turnover declined for the fourth straight day today, 14 August 2007. It amounted to Rs 28,493.98 crore as compared to Rs 31,627.64 crore on Monday, 13 August 2007. It was Rs 55,930.24 crore and Rs 48,868.82 crore on 9 August 2007 and 10 August 2007 respectively. GMR Infrastructures August 2007 futures settled at a premium, at 809.50, compared to the spot closing of Rs 805.45. It was the top traded counter with turnover of Rs 1042.74 crore. IDBI August 2007 futures settled at a premium, at 124.60, compared to the spot closing of Rs 123.90. In the cash market, the S&P CNX Nifty slipped 3.45 points or 0.08% at 4,370.20.